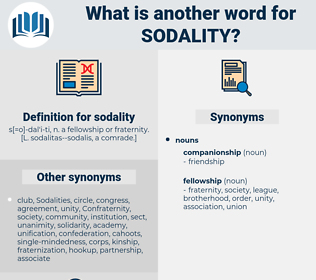 What is another word for sodality? He attended to his religious duties with great zeal, and was President of the Sodality as a matter of course. stiletto, stilted, sodalite, stylet, styled, stolid, stellate, stilt, stylite, stealth, scheduled, settled, satellite, sedulity, stolidity, saddled, skid lid, stealthy, stellite. 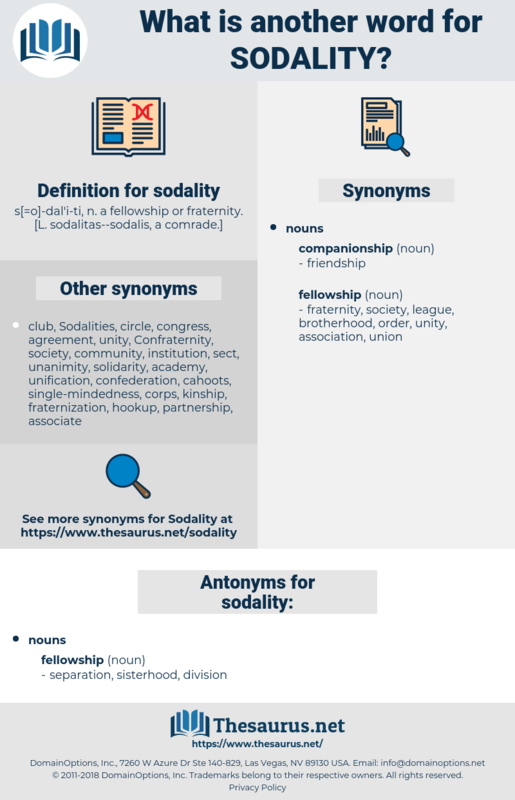 social class, socio-economic class, stratum, class.